Are you ready to make your business more diversified? Is so, consider using a professional laser cutting service. 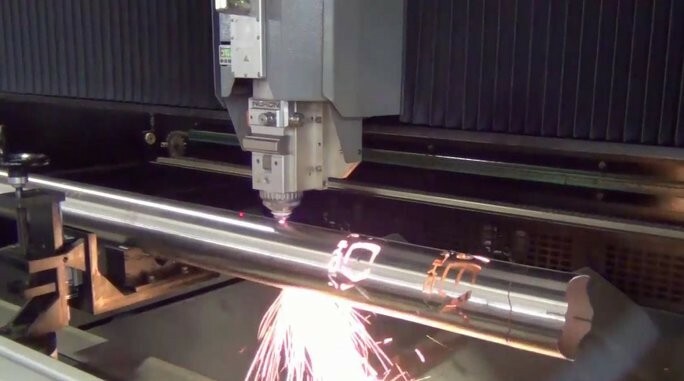 Because metal laser cutting services produce an unlimited range of standard and custom parts, components, and full products, you can expand your product offering. Not only will you have happier customers, but you can also target new industries while solidifying your reputation within your industry. As an example, when you use the services of a reputable laser cutting company, you can expect 100 percent accuracy. Whether you are ordering 100, 1,000, or 10,000 parts or components, each one will meet your criteria. Thanks to advances in technology, these cutting machines can accomplish more than they could even a few years ago. That means that you can expand your line of products, which gives you the chance to work with new and existing customers. Because a top-rated laser cutting company can make sophisticated products with precision, you end up with fewer customer complaints. That way, your customers begin seeing you and your business as an authority. They also grow to trust you more, giving you the chance to build long-term business relationships. Something else to consider is that new machinery used for metal laser cutting services reduce cycle time. Especially for large production runs, that saves the fabrication company a significant amount of money, which it then passes down to you. You can then lower the prices on the products you offer. In addition to retaining your current customers, that will attract new prospects. Today, competition has become fierce. For that reason, it is essential to do something that will help your business stand out. An excellent way to accomplish that is by diversifying your company. With professional laser cutting services, you have endless options for achieving that goal. As an example, you can offer your customers higher-end or more complex products. Immediately, that opens many doors of opportunity. For diversification relating to fabricated and laser cut metal products, it is imperative that you work with the right company. At Weldflow Metal Products, we guarantee to work hard on your behalf, delivering what we said we would. To learn about the different services we provide, please visit our website. If preferred, you can contact a company representative by phone. This entry was posted in Laser Cutting and tagged laser cutting company. Bookmark the permalink. ← How Is Contract Manufacturing Bringing Profitability to Industrialists?